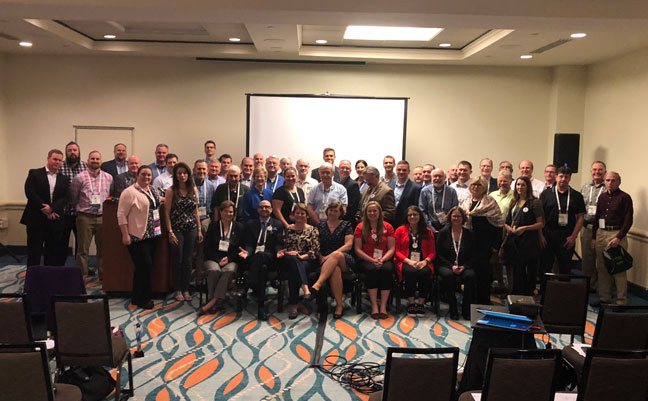 When members of industry fraternity Pi Chi Omega convened on Oct. 23, during the National Pest Management Association’s (NPMA’s) PestWorld event in Orlando, Fla., President Dale Baker and the various committee chairs had lots of positive news to share. Membership is growing, the treasury is healthy, and scholarships are being awarded on the regular now. 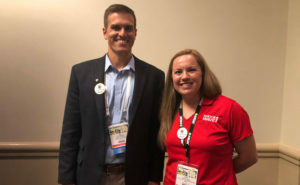 During the meeting, two board spots were filled by unanimous vote — Dr. Cassie Krejci, MGK field specialist, and Tom Mueller, Insects Limited’s national sales and marketing manager. 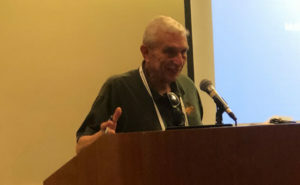 To close the meeting under the “new business” section, PMP Hall of Famer Dr. Austin Frishman, BCE-Emeritus, took to the lectern. He had two items to report. 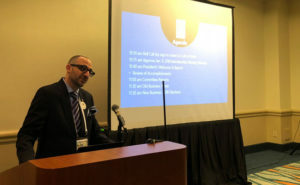 First, as he had promised Insect Limited’s David Mueller, who was unable to attend the meeting, Dr. Frishman sounded the call for members to support and develop endowment chairs for entomology departments across the country. Entomology research is the lifeblood of new technology for the industry, and without dedicated scientists in urban pest control, we could lose a competitive edge, he said. Second, Dr. Frishman suggested Pi Chi Omega revive the Heifer International program, wherein donations helped struggling communities worldwide sustain themselves with beehives, goats, cows, etc. After the formal meeting ended, Baker, who is also vice president of J.T. Eaton, gave out several awards. The first was to David Mueller, who has been a longtime advocate of the fraternity’s scholarship programs and created one this year to honor his late employee, Alain VanRyckeghem. Mueller’s son, Tom, accepted on his behalf. 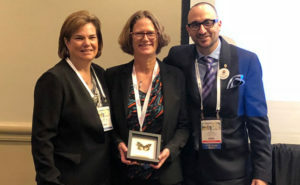 Rollins’ Kim Kelley-Tunis, ACE, BCE, immediate past president of Pi Chi Omega, joined Baker to present their fellow “Amigo,” Rentokil’s Judy Black, with a special award for working so closely with them as the second-immediate past president and getting the fraternity shipshape. Last but not least, the entire board assembled to present Andrea and Kristin Coron, who are the co-executive directors of Pi Chi Omega, with the Moving Forward award. They were recognized for their roles in reshaping the organization for the 21st century.